SALSA KITCHEN offers up a unique menu in Tobago — Caribbean-inspired tapas, which translate into small plates with great tastes. We’re talking well-executed small plates like the Seafood Ajillo – shrimp, squid & fish in garlic & parsley; Minted Pork – strips of sizzling pork in a sweet & spicy mint sauce; Lamb Caribbean – grilled saddle of lamb in a tamarind sauce w/tomato choka; and the Dos Quesos – aromatic Tobago feta cheese and creamy mozzarella w/an onion & olive confit. Highlights of the evening included Salsa Kitchen’s Caprese Salad – tomatoes, mozzarella, basil and olive oil, but the restaurant’s description undersells this salad. The tomatoes were juicy and firm while the slices of fresh buffalo mozzarella practically melt in your mouth, and the “basil & olive oil” turned out to be a piquant basil dressing, the perfect complement to the tomatoes and cheese. The Eggplant Mozzarella also was a bona fide hit at our table. With this dish, ho-hum eggplant parmesan is deconstructed and transformed. At Salsa Kitchen, the eggplant is sliced and roasted, while grilled red onions, sweet peppers, tomatoes and mozzarella cheese are layered between the eggplant slices. The amazing thing is that every vegetable manages to stand tall in this dish. The next plate was the Lamb Caribbean where the most succulent cut of lamb – the saddle – was grilled and served with a tangy tamarind sauce and a side of tomato choka. Salsa Kitchen also serves fresh salads and specialty pizzas (housemade dough and sauces) are also available. The pizza menu includes a Four-Cheese Pizza of blue, local feta, Parmesan and mozzarella cheeses and a Pizto Pizza made with a pesto sauce. Be sure to order the tawa(h)-prepared Garlic Flatbread drizzled with butter, garlic and sea salt. It’s perfect for sopping up the coconut curry sauce of the Lobster & Scallops and the Lamb Caribbean’s tamarind sauce. We can’t wait to return and sample the specialty pizzas; the Tenderloin Piquante – spicy beef in the best sauce; the Shrimp Salsa – hot and spicy shrimp in a chili garlic sauce; and the Pistou Calamari – calamari sautéed in pesto. LINK TO OUR SALSA KITCHEN PICTURES. What We (3 People) Paid: $676.50 (including VAT & service charge) for Dinner – Lamb Caribbean, Lobster & Scallops in a Coconut Curry Sauce, Lime Fish, Eggplant Mozzarella, Small Spanish Salad, Small Caprese Salad, Garlic Flatbread, along with half carafe of house white wine and a bottle of water. 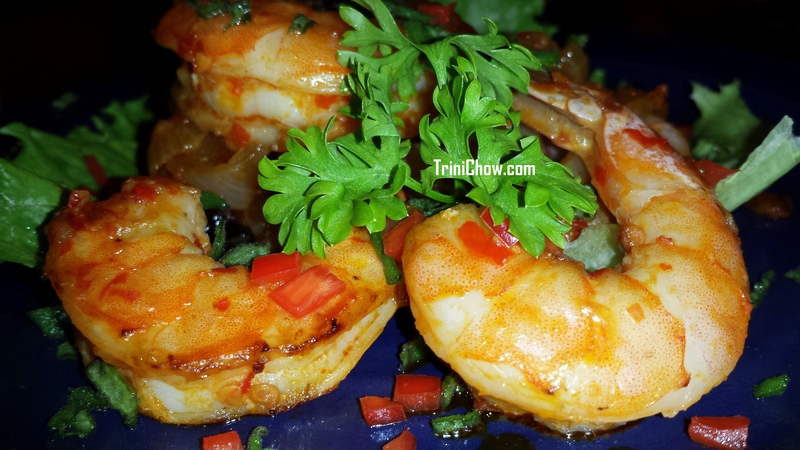 Check out Salsa Kitchen’s rating on TripAdvisor for Tobago’s Restaurants. I’m trying to get hold of professional high res images. Could you let me know who I should contact, please? Contact, Paula O’Neill at salsacottage@yahoo.com. She’s expecting an email from you. Paulita, you’re a boss! Even when we were flatmates 20 years ago and both dirt poor you always cooked something deeeelicious. I’m so glad that you’re realizing your full potential. You and Iain obviously make a briliant team. Thank you for the compliments, but the descriptions in the post you read earlier today are actually from Salsa Kitchen. (We can take full credit for the pictures though). Tonight, we added our update for this restaurant (see the three TriniChow UPDATE paragraphs and the What We Paid section) based on our visit this past weekend.